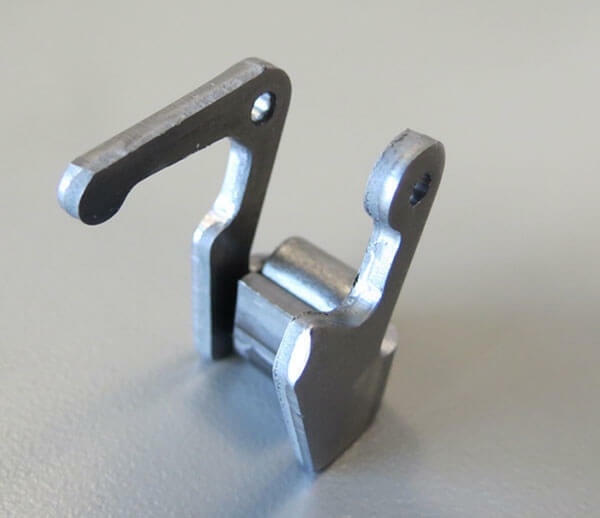 Ultra Tool & Manufacturing has provided stamped metal parts for automotive manufacturers and Tier 1 and Tier 2 suppliers for over 50 years. This manufacturing experience has strengthened our automotive expertise and knowledge about the new technologies, materials, powertrains and electronics in today’s cars and trucks. From part design and material selection to production; including assembly and shipping we have a proven track record of meeting shorter development cycles, reducing costs, exceeding quality demands, optimizing the production process and meeting your time-to-market goals. When it comes to producing high quality automotive parts we are ISO 9001:2015 certified and comply with all auto industry standards related to parts production including PPAP, APQP, FMEA and control plans. Our state-of-the-art metal stamping facility can support low, medium and high-volume production requirements. We offer both commodity-type and value-added components. Metal components and assemblies for engine, brake, cooling, emission, fuel and transmission systems and sub-systems. Clamps, clips, brackets, flanges, connectors, terminals, levers, washers, and covers. We are fully staffed and have open capacity to serve your domestic production needs. No currency fluctuations, logistics, economic, compliance or political issues to deal compared to an offshore production partner.